We stayed here 3 nights with our two young children…and it felt just like staying with friends! It was great! We loved staying at this bed & breakfast and would definitely return to this location, when we revisit Panama. 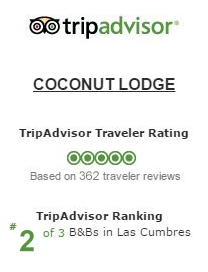 With only four rooms, Coconut Lodge is an intimate and private Panama Bed and Breakfast designed to please and satisfy your every vacation need and want. Forget about work, stress, and an accelerated lifestyle. 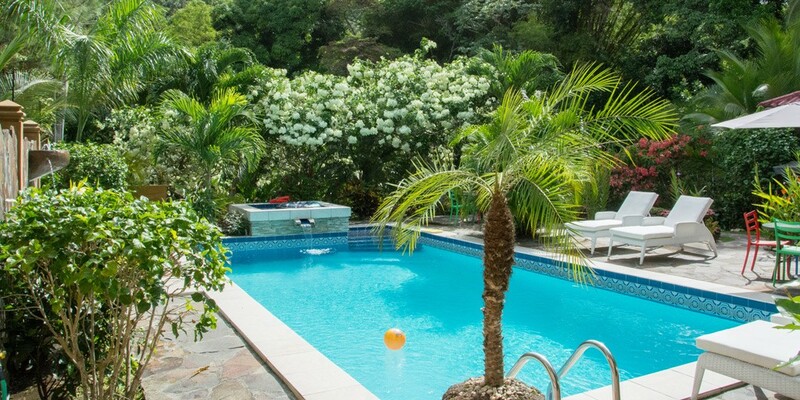 Enjoy the warm panamanian tropical breeze, laze in our pool while sipping a Piña Colada, challenge yourself to a game of tennis and enjoy life the way it is truly meant to be lived at our Panama B and B.